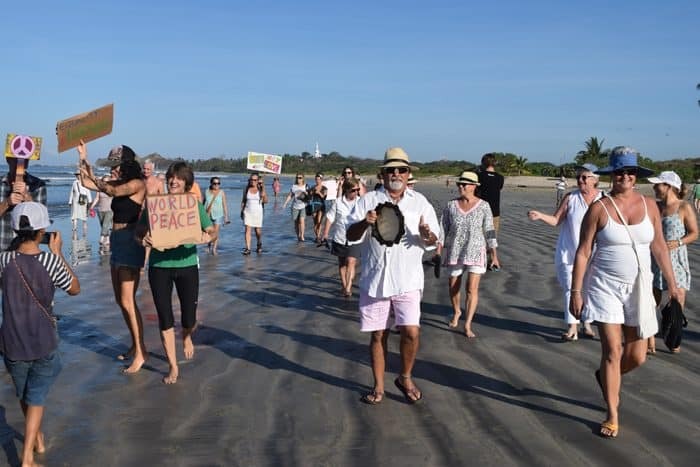 NOSARA, Guanacaste — About 100 residents of Nosara took a stroll Saturday morning on Playa Guiones in what was billed as a march of solidarity for women’s rights and a protest of the inauguration of President Donald Trump. 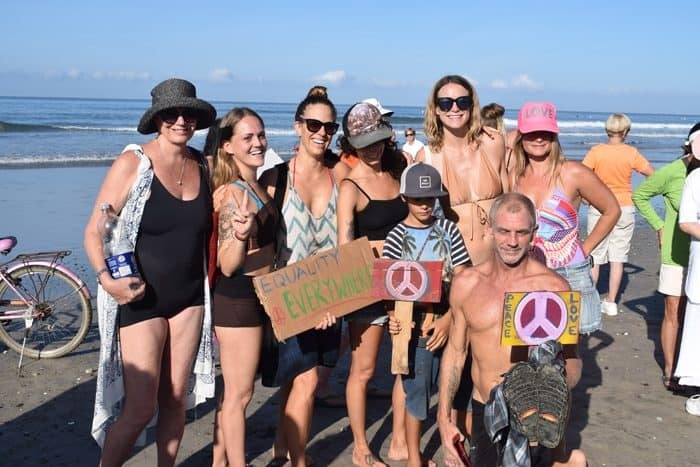 They toted signs advocating equality, love and peace, and there were a couple of short speeches about uniting as brothers and sisters to create a better world for our children. 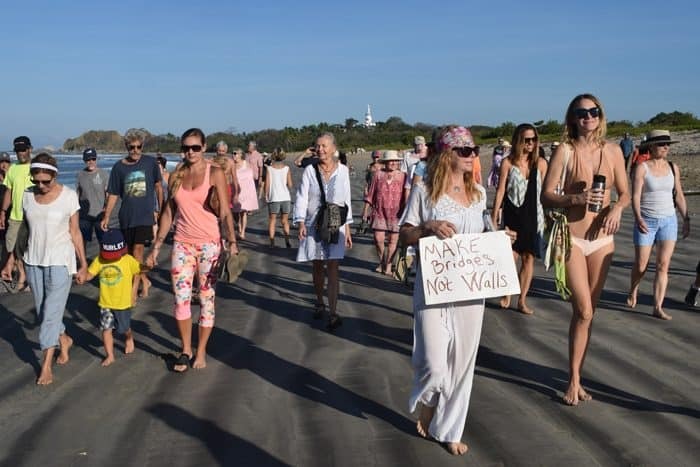 The event was one of several planned around the country today, inspired by the Women’s March on Washington and hundreds of sister events worldwide. 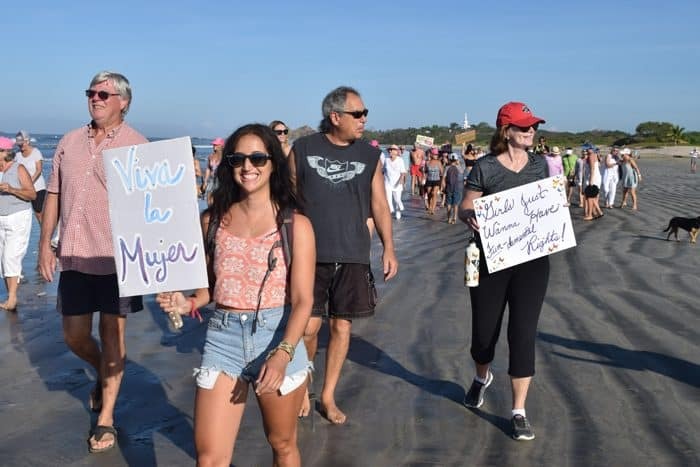 Elaine Cohen, a visitor from Massachusetts, initially asked a few women to get together and take a walk on the beach in solidarity, and word spread quickly. 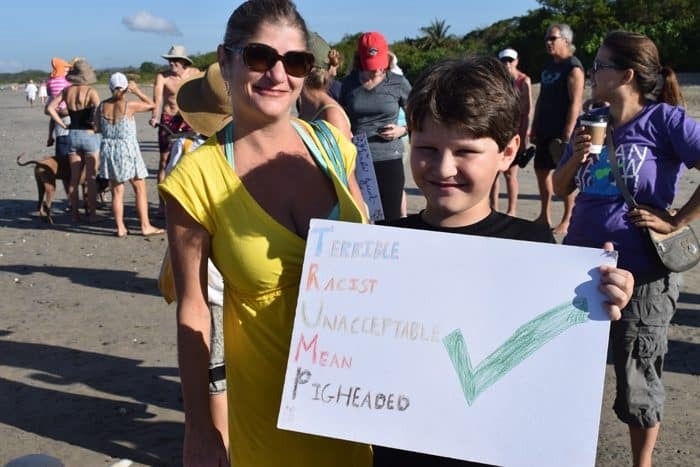 Cohen said she was pleased with the turnout. 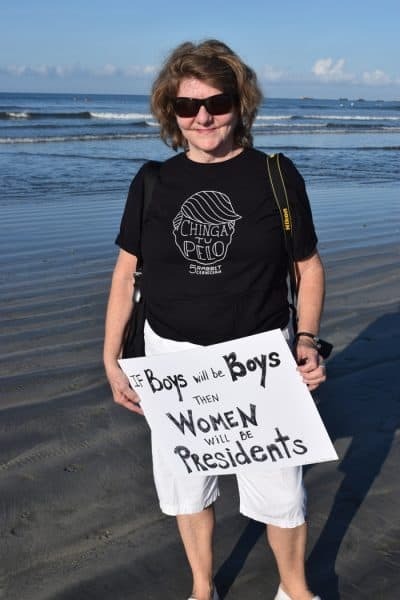 “It’s not a professional protest; it is a group of women who told other women and their spouses and children, and you know what, it’s about everybody. 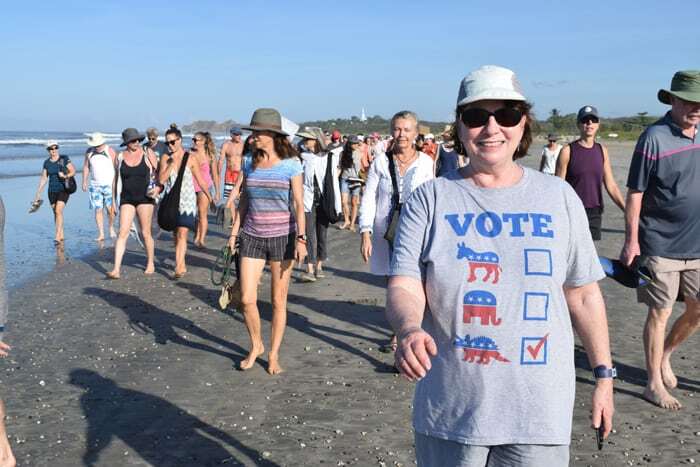 It’s a nonpartisan walk. 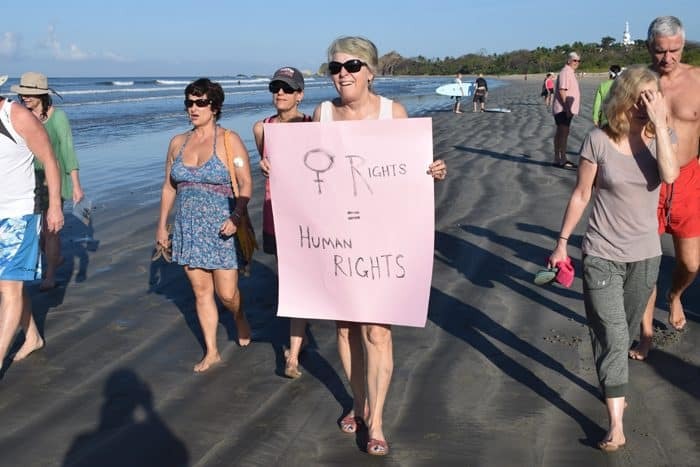 It’s about human rights, dignity, equal pay and the future of our babies. This is all about the future. 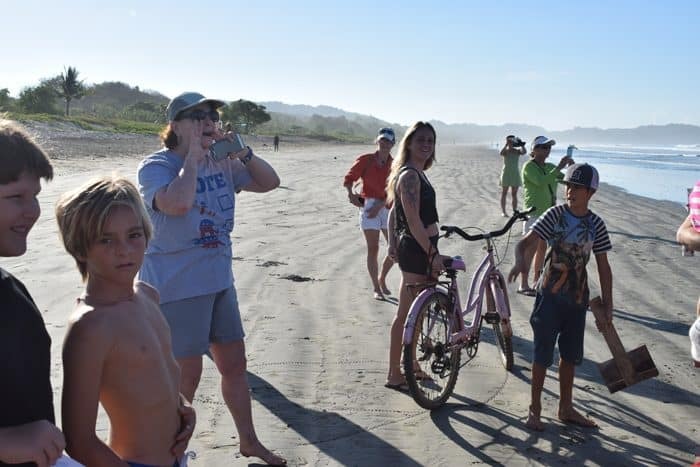 Audrey Obremski drove two and a half hours to get here, from Playa San Miguel, halfway between Samara and Malpaís. 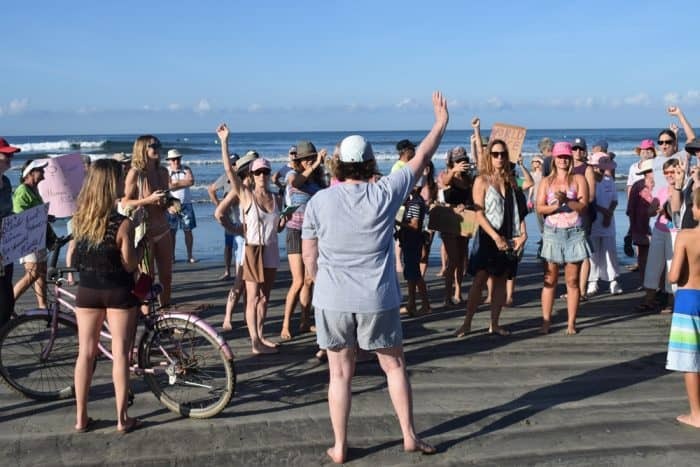 “I’m sitting there just feeling helpless and blown away, and I need to see some other people who are panicking as much as I am,” she said. “I’m not a panicker, but this is the most freaked out I’ve ever been in my whole life, I think. This is serious stuff, this is all of humanity, this is terrible.